Genuine OEM Brother Drum Unit, 40,000 page yield. Brother part number: DR700. Drum Unit compatible with Brother HL-7050. Genuine OEM Brother Toner Cartridge, Black, 12,000 page yield. Brother part number: TN700. 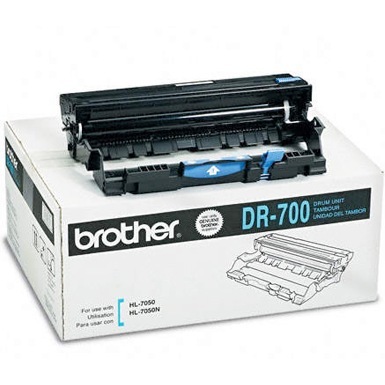 Laser Toner Cartridge compatible with Brother HL-7050.